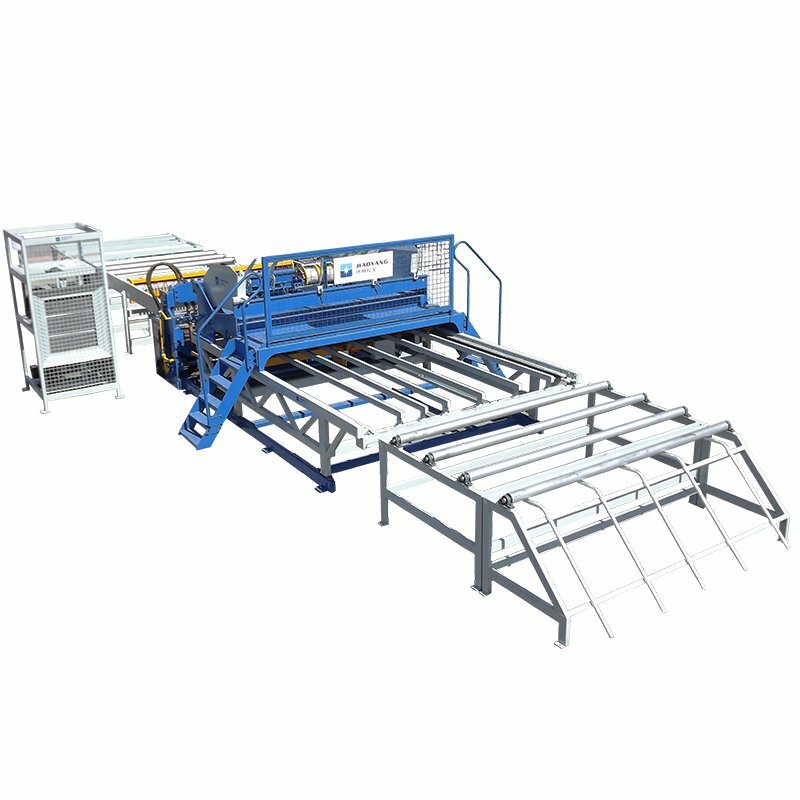 The automatic reinforcing mesh machine is the most popular reinforcing mesh welding machine. 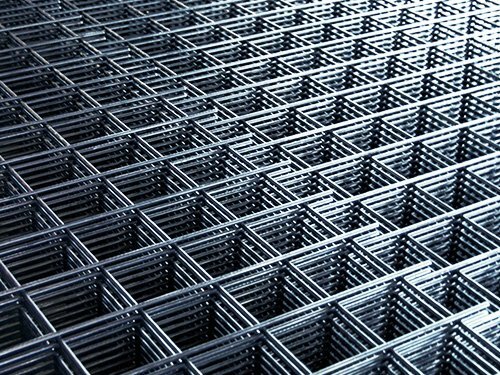 1.Reinforcement mesh machine is a device for welding steel mesh.Both line wires and cross wires are per straighten,cut and fed automatic. 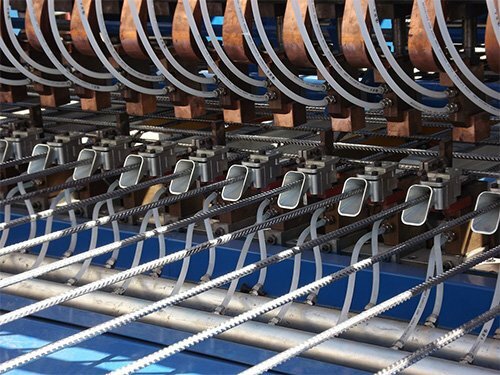 Line wires are artificial threading and automatic feeding. 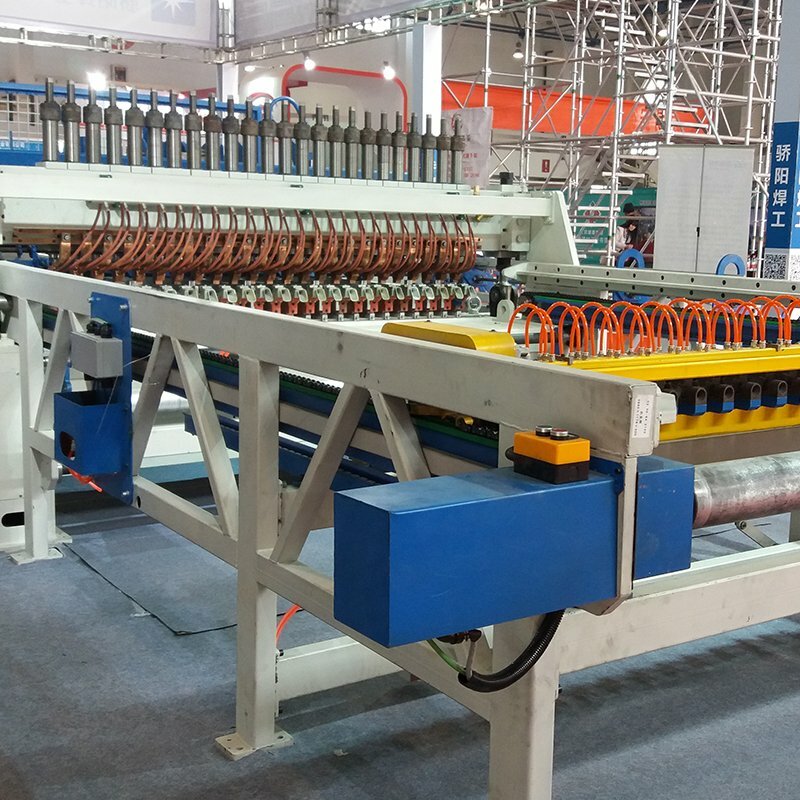 Cross wires are automatically feeding, CNC servo reciprocating pull mesh. 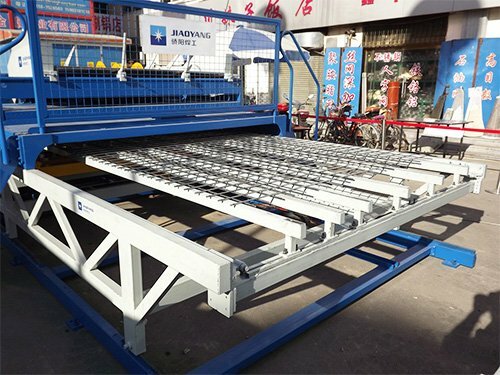 1.Reinforcement mesh machine is a device for welding steel mesh.Both line wires and cross wires are per straighten,cut and fed automatic. 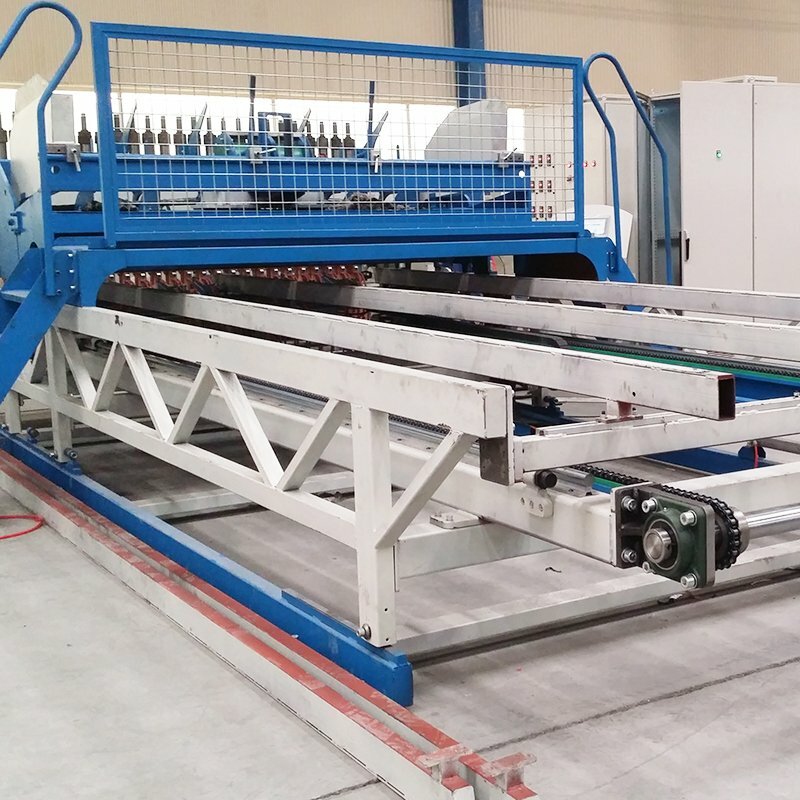 3.Cross wires are automatically feeding, CNC servo reciprocating pull mesh. 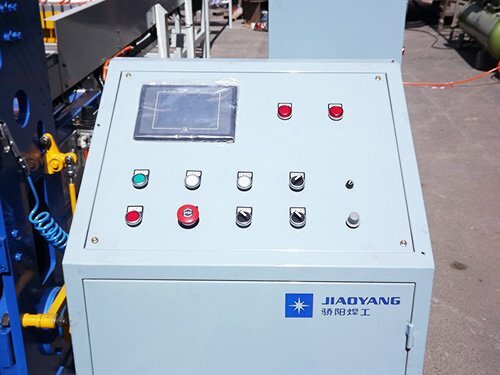 1.Improve production efficiency; reduce the labor intensity of workers. 2.Welding electrodes, transformers are equipped with a circulating cooling system, extending the service life. 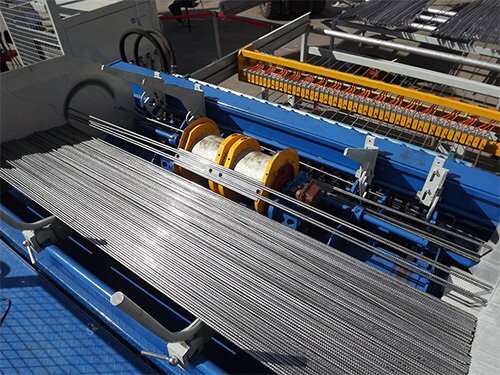 1.Both line wires and cross wires are per straighten,cut and fed automatic.The finished mesh is automatic stacking and packing. 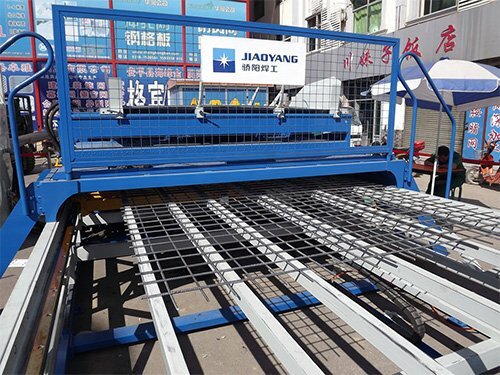 2.Cross wire hopper which can save one labor. 3.Automatically arranging,catching,aligning and feeding line wires. 4.Automatically outputting,dropping,stacking,aligning and packing finished mesh.